Hallo! I saw this amazing Dior Fall-Winter 2013/14 collection and is really amazing. 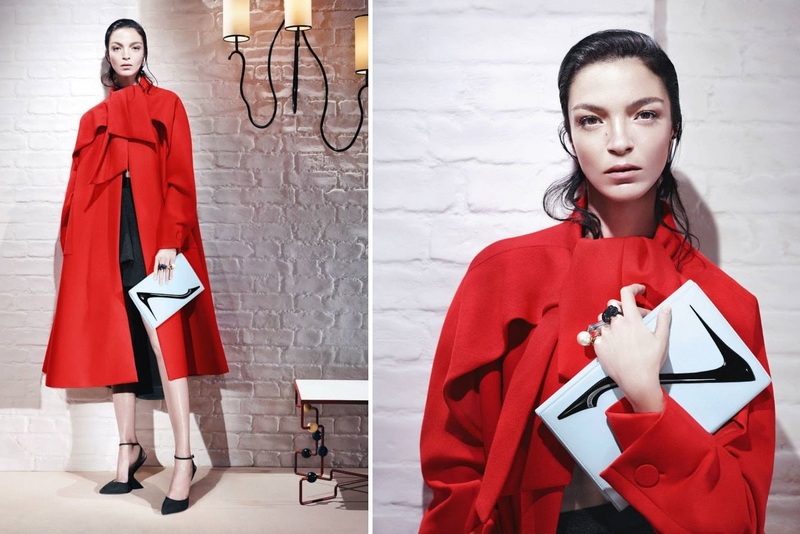 That red coat is so elegant, chic and original. Really wow. Do you like it? Ahoj! Videla som túto úžasnú kolekciu Dior jeseň-zima 2013/14 Ready to Wear a som z nej nadšená. Prekrásny ćervený kabát je chic, originálny a elegantný. Krásny kúsok. Páči sa vám? Amaing the red coat! I love Dior! Amazing the red coat! I love Dior! i love it! the red coat and the sunnies are drop dead gorgeous! I really dont't feel like thinking of winter right now but....Dior is Dior! So captivating. Love the red! Oh so good investing jacket! love it!